We are currently looking to appoint an Inclusion Manager. The role of Inclusion Manager demands flexibility and initiative, as you will be required to supervise students in our seclusion provision with completion of work, tasks and enrichment while effectively managing their behaviour. This is an ideal opportunity for candidates looking to start their career in exclusion provision or potentially teaching. Good organisation skills, flexibility and confidence in dealing with behavioural issues are essential. You must be fully committed to optimising the opportunities that are available to children and young people, secure in the knowledge that you will be joining a passionate team that sets the standards that are ambitious and forward-thinking. Our High School is a warm and friendly environment where staff are supported to grow and develop. Our Executive team plays a crucial role in removing any barriers to teaching and learning allowing our teachers to focus on teaching and good outcomes for our students. Every member of our team plays a vital role in promoting and supporting good teaching and learning. We welcome applications from our wider community. We are looking for someone who can hit the ground running and join our team as soon as possible. We are a supportive and friendly environment. You will play a significant part in our journey to becoming a truly ‘outstanding’ school. 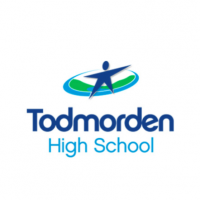 Please send all completed applications to d.todd@todhigh.co.uk. Register Upload CV and then please apply via the Quick Apply button. Please submit a quality covering letter. We look forward to welcoming your application.